CES 2019: How Will Blockchain Reinvent Media? Blockchain's promise to media companies is that it will tame some of the worst behaviors in the digital world—piracy, data mining and misappropriated payments. 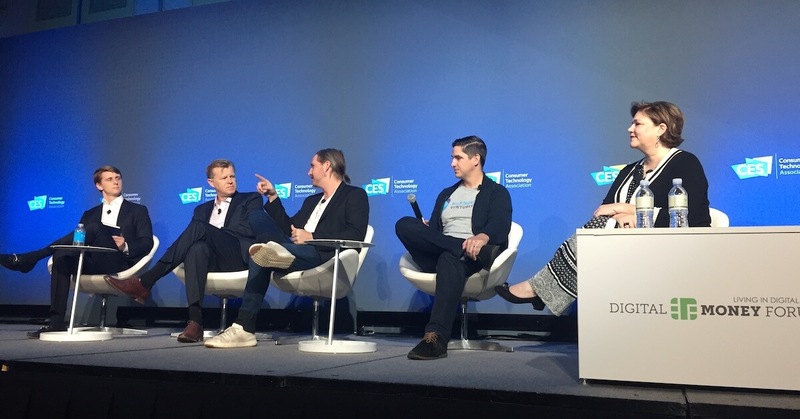 The CES 2019 panel "How Blockchain is Remaking the Media/Entertainment Business" was a forward-looking discussion about using blockchain to verify information, verify content, and reward both creators and consumers. The panelists addressed several foundation issues that need to be considered by any media company that wants to use blockchain. Blockchain's distributed ledger promises to provide an environment where the ownership and transaction of digital media can be verified. Storing this digital media "deed" on the blockchain provides irrefutable proof of who owns what. This deed of electronic record can provide irrefutable legal history about what rights are available and who worked on a specific project or piece of content. This can also store rights and permissions from all contributors, including video producer, camera operator, composer, editor, etc. Such a deed facilitates being able to root out illegal copies; knowing who can grant digital rights is one of the ways blockchain technology will protect against piracy. 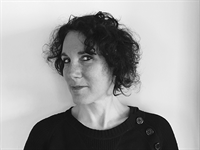 "Media companies are less equipped to deal with the fact that they also have our digital identities," says Ann Greenberg, founder and CEO of Entertainment AI™ and co-founder of Gracenote. "They’re not prepared to deal with the hacking that is happening." She referred to the recent breach at Tribune Publishing as just one of the ongoing data leaks experienced by media companies big and small. If we're going to reveal ourselves to any system, we should care what that system is and take ownership of our data, she said. In order to view content online for free, customers pay with their personal data. It’s considered standard practice for businesses to provide free content if you provide personalized information. "Our data isn't a traditional currency, but it truly is this instrument of value which you’re giving up. What these entities [Facebook, Google, etc.] are doing is gathering up our data, packaging it and reselling it," said Michael Casey, senior advisor to the Digital Currency Initiative, MIT Media Lab, founder of Network Effects Media, and former Wall Street Journal reporter. We are providing our attention, Casey said, and that attention is worth something. In addition, he said, we’re the provider of content, in the form of the proliferation of UGC and social posting where each person akin to their own small media enterprise. Getting payment for contributing blog posts, video content, music, or any other type of user-generated content needs to associate a real person and deed to the content originator. "Solving the identity question is critical if we’re going to distribute rewards," said Casey—i.e., knowing for sure who owns and is able to license content would go a long way toward making sure the content owner is able to be paid for their work. "We live in an attention economy, and the currency we all are trading is data," said Casey. "We are the ones who are contributing our attention, this 24/7 limited resource." This payment needn't necessarily be money; it could be in the form of barter for goods or services. Blockchain will bring an tamperproof ledger where this payment can be transacted and recorded. "I think we're all aware that wherever we turn there’s data that’s being created," said Alex McDougall, chief investment officer, Bicameral Ventures. "It's really critical to repatriate all this data." McDougall is investing in one company that offers a solution for how to put the data genie back in the bottle. "One of the projects we invested in is called Metalyfe which is a browser where, instead of where Chrome is a vehicle for Google to acquire data about you, this is a vehicle for you to accumulate data for yourself," said McDougall. "Whereas your Chrome profile, your Google profile, you don't really know what it looks like. There’s a bunch of links you can go to and it shows your history and your preferences. "Metalyfe essentially creates a dashboard for you which shows a 360-degree view of everything you’ve done, your habits, and shows what your digital persona is," he said. "And then down the line you’re able to market and sell that if you want to. So under your own control you can release certain parts of it to advertisers, or you can release certain data to people who will incent you [to opt in for advertising] a certain type of car rather than another one. "[The] first step is controlling your data flow, and the second step is going back in time and being able to scrape what Google already has and add it to your personal data flow," said McDougall. Central to this discussion is the idea that personal data should be treated like the intellectual property that it is, and blockchain can help with this in three ways: validating data, taking micropayments, and ensuring the ability to trust someone you don’t know. Validating data means knowing for sure who owns something. Micropayment transaction can convert digital pennies into real payments for a content owner. Having the ability to trust someone you don’t know means you can willingly sell content to a stranger and be sure to receive payment. The panel brought up more questions than answers, but at least some very smart and creative minds are beginning to have conversations. For something different—extremely different—check out the BitMovio beta, which aims to lure young viewers with genre content and cutting-edge payment models. Blockchain's distributed ledger offers new opportunities for combatting privacy, securing financial transactions, and finding new approaches to monetization and royalty payment. This presentation from Streaming Media East offered a high-level view of the possibilities for the video industry.